There are a number of things that you can do to avoid probate. Before I talk about those things specifically though, can I first say, probate is not that bad if you aren’t able to avoid it. During the 1980’s and to some degree into the 1990’s there were a lot of television commercials for companies that were trying to sell people on the idea of getting a trust instead of a will. One of the main selling points of these commercials was how awful probate was and how having a trust could help you avoid the headache and hassles of probate. The irony is that over time it has been my experience that the people that bought off on what these commercials were saying and got trusts have usually not avoided probate when they died. People often don’t know how to manage a trust and need the help and advice of someone who does understand trusts to help them. Trusts are great. I create trusts all the time and there can be real advantages in having a trust. (To compare wills versus trusts, click here.) However, if a trust isn’t managed correctly it will not help you avoid probate. What typically happened to these people who bought trusts back in the day was something like this: The company that was promoting the creation of a trust had some kind of kit that a salesman would walk the client through and a trust would be created. The trust was valid because the company had hired a lawyer to design the kit to be kind of a “one size fits all” approach, but the salesman usually didn’t really understand very much about trusts and so they didn’t help their clients know how to manage the trust that they had created. So, the client would end up with a beautiful leather bound binder full of documents that they really didn’t understand. The client would never touch the binder again until one spouse or another died and that is when the client would discover that the trust didn’t do them any good. These kits usually included something called a “pour over will.” This was the right thing to do and when I create a trust for a client I draw up a “pour over will” for my clients too. This kind of will is designed as sort of a safety valve if anything was accidentally left out of a trust. In my experience, unfortunately, almost everything ends up left outside of the trust and so it all ends up going through probate anyway. So, if you do end up using a trust as a way of avoiding probate, learn as much as you can about managing your trust so it actually helps you achieve your goal of no probate. So, the bottom line is probate has been made to sound like it is a scary and complicated process, which a person should avoid at all costs. (To understand more about the probate process, click here.) There may be some unfamiliar requirements involved in probate, but there is no reason an average person cannot manage to fulfill their duties under probate relatively easily with the help of a lawyer. Having said all that, there are a number of things that people can do to avoid probate and if you choose to do some of these things you may save yourself or your survivors some time, effort, and expense. There are three common approaches that can help people avoid probate in Oregon and these approaches are also likely applicable in most states. The three mechanisms are trusts, jointly titled assets, and pay on death accounts. Trusts— A trust that is well managed can help you avoid probate entirely, as long as all of a person’s assets are titled in the name of the trust, and as long as new assets are titled in the name of the trust as they are acquired, after the trust has already been created. Jointly Titled Assets— This approach is the most common for married couples and is relatively simple. Whenever a bank account is created or a major asset is purchased the title is made in the name of both spouses jointly “with right of survivorship.” This means as a function of law that when the first spouse dies the property, whether it is a bank account, a house, a car, or whatever else, instantly becomes the sole property of the surviving spouse. No probate is required, no additional process is needed whatsoever, it is over and done at the instant the first spouse dies. So probate is avoided upon the death of the first spouse. However, when the surviving spouse dies probate would be required for their estate. Pay On Death Accounts— This really only applies to bank or depository accounts, but is similar to jointly titled assets in that, upon death, as a process of law, a person designated by the decedent instantly becomes the owner of that account. This can be an effective way of avoiding probate and transferring wealth to a surviving child, but typically is only advisable if there is only one surviving child. There are exceptions to any of these approaches and it is possible to use these mechanisms in ways that are not described here. Occasionally, people will try to “save money” by trying to do all of this pre-planning themselves without bothering to get any legal advice. Quite a number of years ago I had a retired clergyman come into my practice that had created a kind of trust all on his own and decided he wanted to change things to more fully provide for his younger brother. Unfortunately, I was unable to help him because he had inadvertently locked himself into a particular course of action. It really is prudent to get some professional advice from an attorney because you can end up creating a much more expensive problem for your survivors by trying to pinch pennies up front. 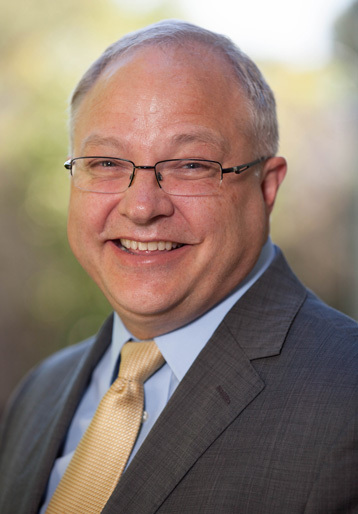 Stan Butterfield is an estate planning attorney and probate lawyer in Dallas, Oregon and practices in Polk, Marion, Linn, and Yamhill counties. If you think Stan could be of help to you please call him at (503) 623-2427.